I am writing this bulletproof coffee review based on my experience and by doing a short research on the subject since I was very curious to know more about this over-hyped buttered coffee that went viral a few years ago. Considering the impact Dave Asprey’s biohacking coffee recipe has made on the internet and social media, I think I am arriving very late in the scenario, anyways it is a fresh thing for me and so is for many people who are yet to know about it after me and maybe through this post itself. People have praised and criticized this particular secret to stay more energized while shedding pounds from Dave Asprey, so it has become very difficult to know whether this thing works or not. That’s why I think I can help a few people to know the truth with this post, where I will be talking about it in full detail. In simple words, it is the regular coffee prepared without adding sugar or milk, but using butter instead with a little MCT Oil (or coconut oil). According to Dave, a large cup of this coffee in the morning helps you to stay more energized throughout the day, which allows you to perform better and be more productive in whatever work you do whereas it also kills the food cravings. One of the prime reasons why people are attracted towards this coffee is due to its weight loss benefits, it is said that if you will drink this during breakfast you won’t feel hungry at all for the rest of your day! But that doesn’t mean you should avoid food. There is a specific diet plan to be followed along with the intake of this buttered coffee for achieving its true benefits, which is all about skipping breakfast and giving about an 18 hour gap between your dinner and the next day lunch. The weight loss mechanism that works here is the same one that has been used by many diet plans “ketosis” which means the body automatically kicks into the fat burning mode when it runs out of carbs. Dave Asprey discovered this recipe in 2009 after drinking a yak butter tea in Nepal and since then this special coffee has been used by numerous people, including some well known sportspeople and celebrities, he claims that drinking this in the morning improves your cognitive functions. Bulletproof coffee has been featured on many television shows and it is a very popular thing in the Silicon Valley. People say that this coffee is delicious; I didn’t believe that initially, butter in coffee? How could that be a good taste? But it was! Without even adding sugar, the taste was good. Unlike what I expected, I felt hungry later and skipping breakfast did not really felt like a good idea. Honestly, for a few days the only thing that appeared good to me about this whole thing was the taste and on contrary to the purpose, I often felt sluggish during the day while doing this so called “biohacking”. Slowly I realized why people are talking about it so much, I felt no real need to eat during my day and I was more alert than usual. My work doesn’t require any physical effort, all I need is focus and it was helping me in some way with that. However, even though I wasn’t eating much, I didn’t lose a pound! A little extra energy during the day was not enough to motivate me to go into the kitchen every morning and make this coffee, so I finally stopped drinking it. Dave Asprey has also received a lot of criticism from nutritionists and other people who believe that this is just a false publicity method he has used to make money. On the other hand, I have also seen so many people attributing their increased energy levels and weight loss to this little morning secret. Overall, I think this thing works well for some people and not others depending on their body types. See, I do have a lot of weight to shed, but I don’t crave for high calorie food nor do I eat more than needed, so it didn’t work well for me to lose weight. It surely did made me feel more energetic, but I don’t have a tiresome schedule in order to use it for that purpose. If you are among people who start feeling sluggish after the first half of their work hours, if you work at night or if you have the habit of emotional eating, then I think you must give it a try. After all, the coffee has developed a cult of its own, so there must be some truth to it right? 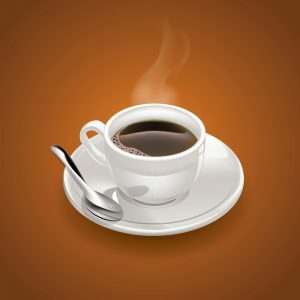 1 – Make 2 cups of black coffee in the regular way. (You can use bullet proof upgraded coffee for more benefits, says Dave Asprey). 2 – Put 2 spoons of grass fed unsalted butter in it with some MCT oil or coconut oil. 4 – Done, enjoy your bulletproof coffee. If you find it hard to get all the required items then you can also order the upgraded bulletproof kit. I hope you enjoyed this post. You may also like to check out some methods to use your subconscious power for achieving your goals.